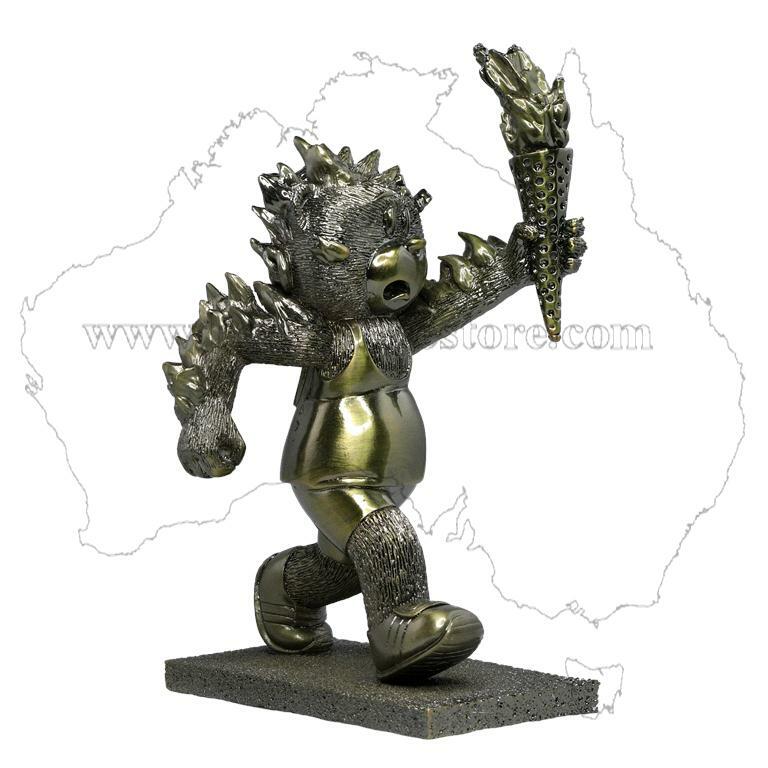 Figurine launched in July 2012 as part of the Bearlimpics mini range but no longer available. Only 288 of these Antique Gold versions were made and all sold out within a couple of days when they were released on the OddCo website in July 2012. Don't miss this opportunity to get one while you can! 201 grams when in original packaging. As in Inferno - an out of control fire. 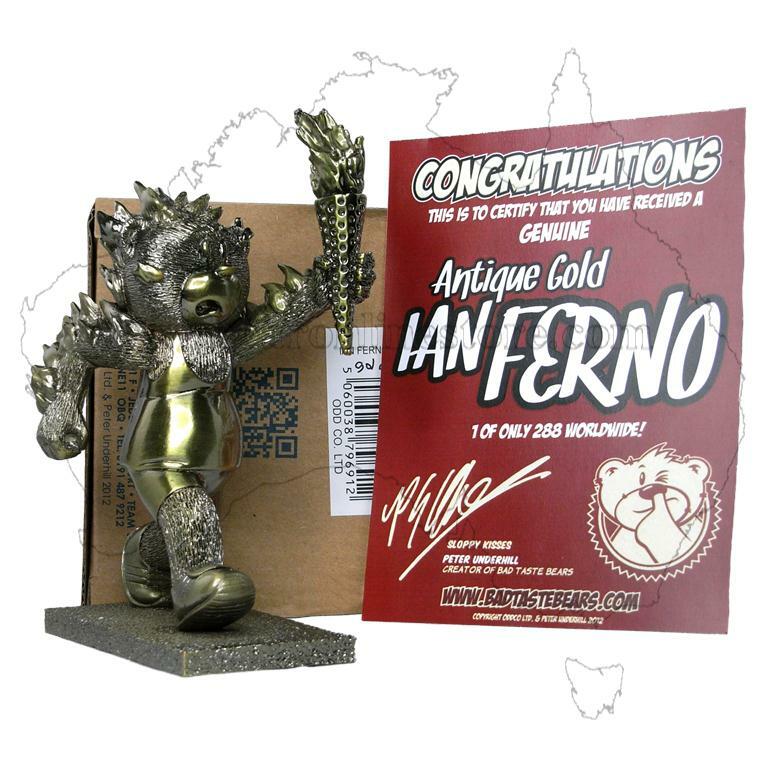 A special gold covered limited edition variation of Ian Ferno released especially for the 2012 Olympics.